The RT-MaG Project (Real-Time - Marseille Grenoble Project) is a project supported by the Gipsa-Lab (Grenoble, France) and the Institute of Mouvement Sciences (ISM, Marseille, France). You can learn more about the authors or contact us if you visit the author page. The aim of this project is to provide efficient tools for rapid prototyping of robots for research and academic applications. RT-MaG provides a powerful MATLAB/Simulink toolbox to program directly embedded linux Computer-On-Module (COM). Now, you can easily generate a standalone real-time application from a Simulink model for you robot s using an embedded Linux. The RT-MaG toolbox simplify the communication between different robots or different embedded controller thanks to its large panel of I/O blocks. The first successfull application of RT-MaG is a low cost open-hardware quadrotor, named X4-MaG. RT X4-MaG is the first robot developed by the RT-MaG project. 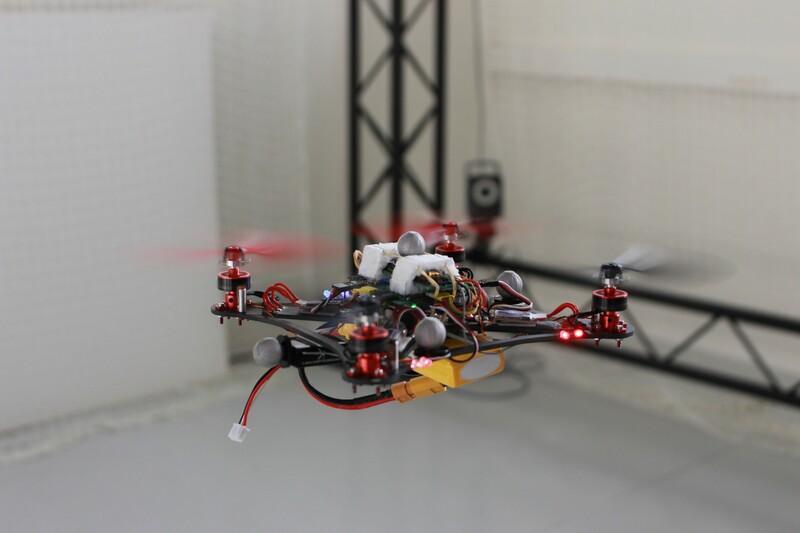 It is a low cost open-hardware quadrotor ideal for research and academic use. A quick description of the quadrotor is given in the X4-MaG Presentation page, some tutorials and the complete documentations are available in the X4-MaG Tutorials\&Documentations page and all the open-hardware sources can be downloaded from the X4-MaG Download page. Some videos highlight the X4-MaG quadrotor flying in our Flying Arena (more information about the Flying Arena are available in the Equipment Page) thanks to the RT-MaG toolbox in our Videos Page. RT-MaG 1.2 is now available! A Forum is now available!